Departee Creek Watershed Improvement District was formed in 1992 for the purpose of restoring Departee Creek to its natural state and constructing a Flood Prevention Structure (FPS) and 188 acre lake upstream from farm and pasture land. In addition, a low water weir is to be installed across Lake Whitstine to protect fish and wildlife in the area. Working with the Natural Resource Conservation Service (NRCS), a plan was developed and approved in 2000. Continuing engineering studies and surveys continued through the early 2000’s. By 2010, most of the surveys and engineering studies had been completed but funding for the project remained a challenge. In fact, for several years, Congress did not approve any funds for what are known as “PL-566” projects such as Departee Creek. Fortunately, in 2017, Congress did restore funding for these projects and Departee Creek was one of two projects in this category for the entire state. Since the Watershed District had continued to pursue easements along the stream in the intervening years, the District was well situated to pursue the project. Final approval from the Corps of Engineers and Farm Service Agency was obtained in mid-2018 and the creek restoration and Lake Whitstine Weir portion of the project was put out for bid by NRCS in late September 2018. ​A project of this size requires a lot of assistance from many partners who have given their time and talents to Departee Creek Watershed. We would be unable to move this project forward without their invaluable assistance and thank all of them for their contributions to this community. 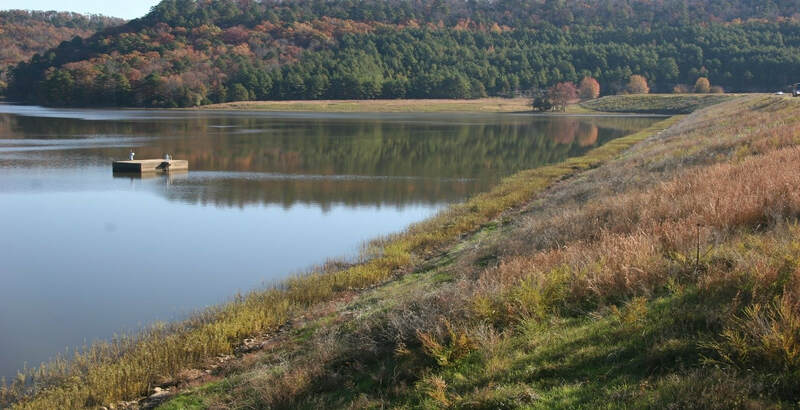 They include: NRCS, Arkansas Game & Fish Commission, White River Planning & Development District, Independence County Judge, Jackson County Judge, Independence County Conservation District, Jackson County Conservation District, and The Nature Conservancy. We would also like to acknowledge the assistance of our Arkansas Legislators and the staff of our Congressional Delegation for support of this project.